I have seen so many of you make delicious looking smoothies….I mean, mouthwatering, making me thirsty type smoothies! 😀 So, I decided to have a go at it myself! 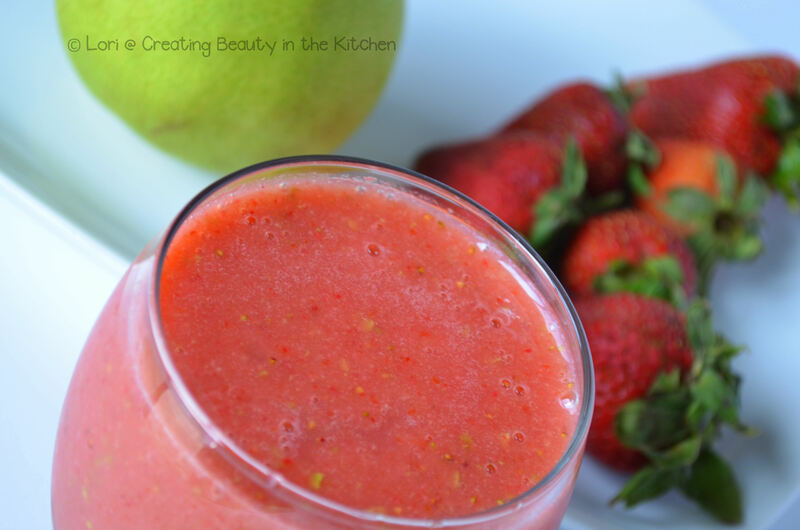 Strawberries, pear, honey, almond milk, ice = one super delicious and refreshing smoothie! Wash and cut up the fruit. Put fruit (a little at a time) into food processor until you have it all in there has become liquid. Add in the honey, almond milk, and ice cubes. Process until smooth. I might have some more of them up my sleeve for you. 🙂 And you?! You are tempting me with garlic bread! You did it! Mouth watering. Seriously. Thanks Justine! I had fun drawing it! P.S. I just saw the pic of you that Ms. Berreta did….fantastic! This sounds fantastic. Perfect thing to be sipping on while I lounge at the pool!! Thank you! Lounging at the pool…yes, that does sound so lovely! I am having fun experimenting with them! Yum n refreshing Lori . Summer brings the best out of all of us :). Gorgeous. Oh, the pears in it made it soooo good! Loved it! Thank you! Thanks Linda! I had never thought of this combination, but really, really enjoyed it! Looks very tasty and refreshing, Lori 🙂 love it! Thank you sweet Jhuls! ❤ Hope you have had a good weekend and that things have slowed down a bit for you! Mmmm, sounds super tasty! 😉 Might just have to give this a go! 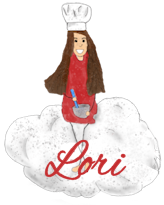 Great blend of flavors, Lori. Your smoothie looks so inviting!! Thanks Patty! I really liked the combination!